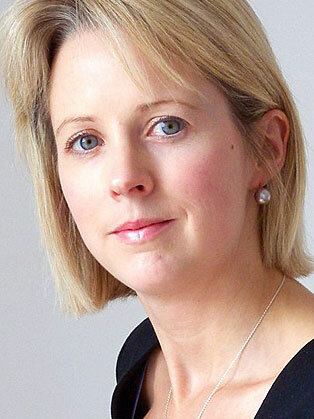 Isabel Oakeshott began her career on a local newspaper in Scotland and has had staff jobs on the Daily Mail, the London Evening Standard, the Sunday Mirror and the Daily Record. She was educated at Gordonstoun, where she was on a scholarship, and read History at Bristol University. Based in the Houses of Parliament, where she was a member of the parliamentary lobby for almost a decade, Isabel has been working at Westminster since 2005. In 2012, she won Political Journalist of the Year at the UK Press Awards. It followed her exclusive story about the former energy secretary Chris Huhne and penalty points for speeding, which eventually led to his resignation from cabinet and a sensational criminal trial. Over the years, Isabel has interviewed most of the cabinet, including the prime minister, as well as Mayor of London Boris Johnson, Leader of the Opposition Ed Miliband, and most of the shadow cabinet. From 2012 to summer 2013, Isabel had a regular slot on BBC1's Sunday Politics show, hosted by Andrew Neil. She now provides political commentary for programmes including Radio 4's Today and Women's Hour; the Media Show; BBC2'S Newsnight; as well as for BBC Radio 5 Live, LBC radio and Channel 5. She recently appeared on BBC1's Question Time. In 2010, Isabel ghost wrote Inside Out, an explosive insider account of Gordon Brown's regime based on the experiences of Peter Watt, former General Secretary of the Labour Party. The book was the subject of a fierce bidding war for newspaper serialisation rights. Her second book, Farmageddon was an expose of the grim realities of industrial food production. A collaboration with the charity Compassion in World Farming, it was published by Bloomsbury in January 2014.